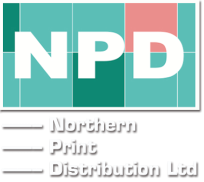 ​Northern Print Distribution: Putting your leaflets precisely where you want them. At Northern Print Distribution we can help you implement an effective leaflet marketing campaign that will drive crucial footfall to your business. Leaflets are an ideal call to action. Our distribution will get your message to the right place at the right time. Our services involve geographical and digital online distribution, marketing advice and planning, design and print, targeted leaflet distribution, storage and delivery of your marketing materials, leaflet display and monitoring, and distribution reporting. NPD has more than fifteen years of proven success in the tourism and leisure markets. Nowhere is that clearer than our current campaigns, Bags of Info for Kids, the Days Out Info website and our Perfect Days Out series of leaflets.